Dozens of trees belonging to Yitzhar farmer burned by Arabs; community demands defense establishment increase anti-arson activity. Dozens of olive trees belonging to a Yitzhar resident were damaged and burned after arson committed by Arabs from 'Asira al-Qibliya at around 1:00 pm last night. The local fire brigade managed to control the flames that quickly climbed toward houses in the Jewish village, but discovered dozens of trees in the orchard burned in the fire. Damage was also caused to agricultural equipment in the area. Additionally, Arabs threw stones at an IDF force and local firefighters during the fire. 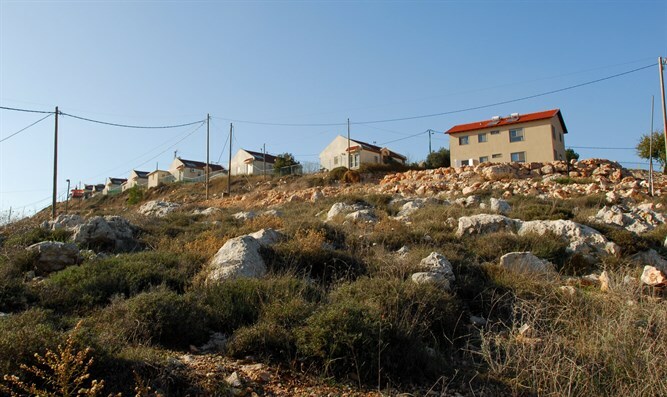 Yitzhar is located on an 810 meters-high hill with five Arab villages located a few hundred meters below surrounding the community. Due to the topography, Yitzhar residents suffer from dozens of arson attacks by Arabs from the bottom of the mountain every summer season. 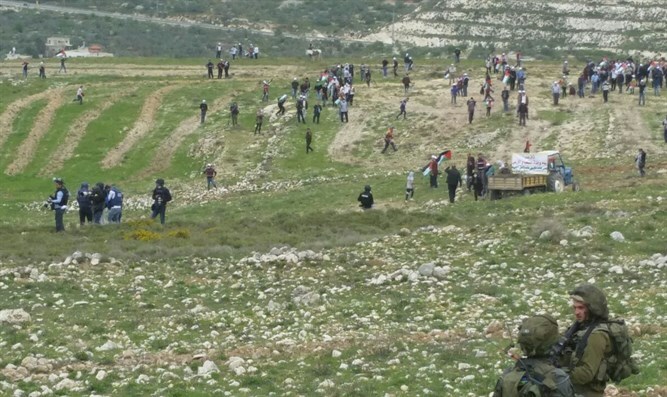 Last Saturday during a security patrol near the Shalhevetya neighborhood, Arabs from 'Asira al-Qibliya whence the arsonists arrived attacked and damaged the security vehicle in the presence of an army force. "It's impossible to accept arson attacks from the Arabs as a matter of course," said a Yitzhar resident. "The arson and the attack by dozens of PA Arabs are a red flag and we call on the defense establishment to enter the Arab villages and impose order there."